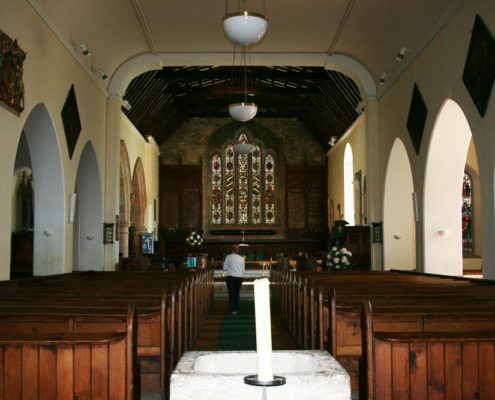 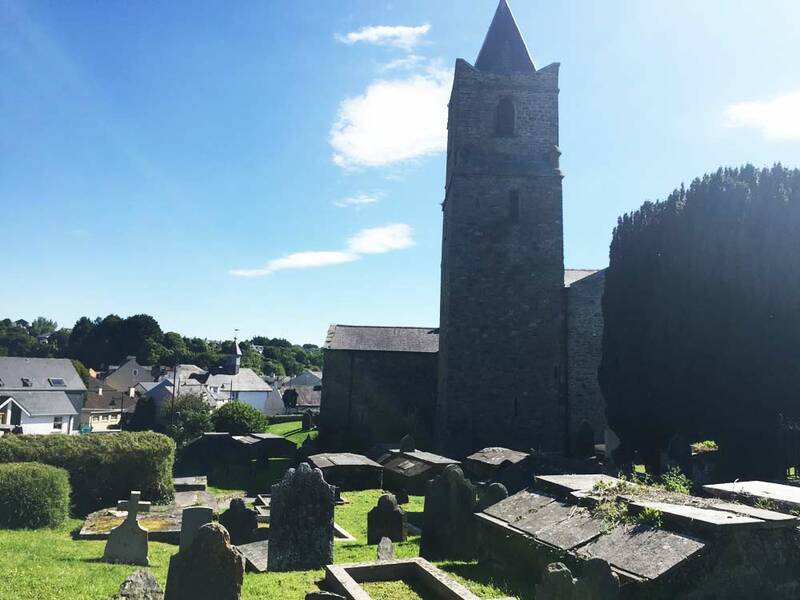 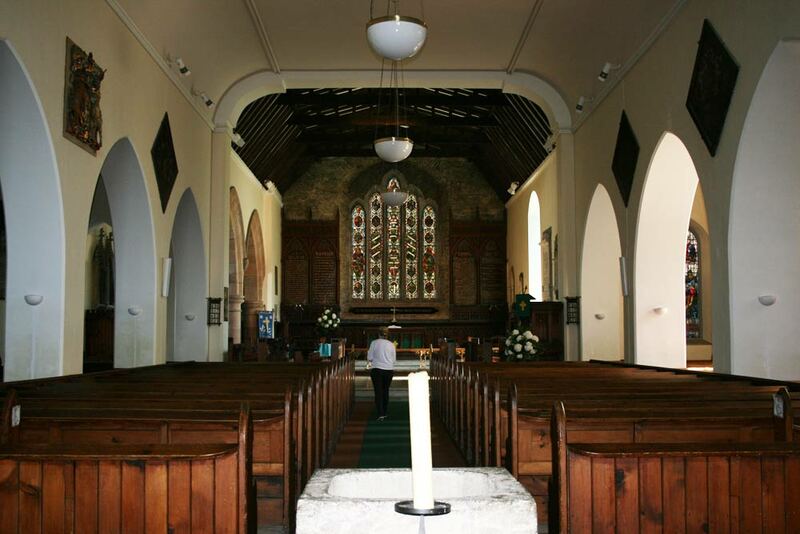 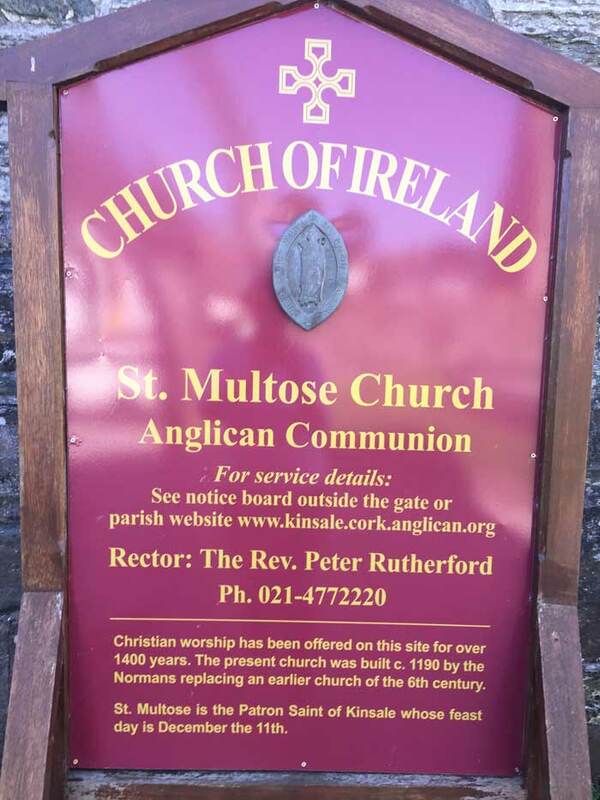 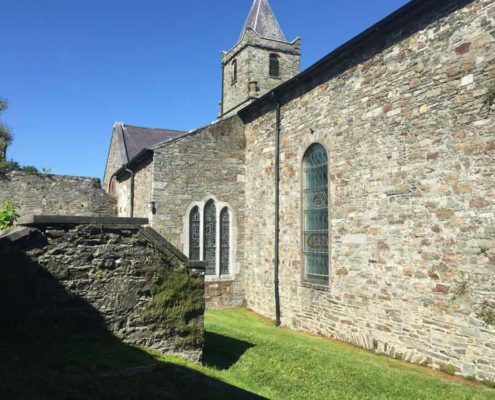 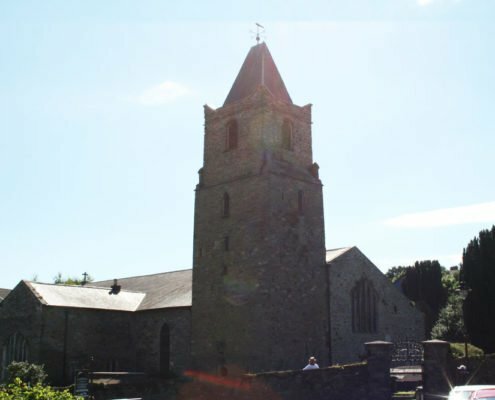 My first stop in Kinsale Town was the historic and memorable Church of St. Multose. 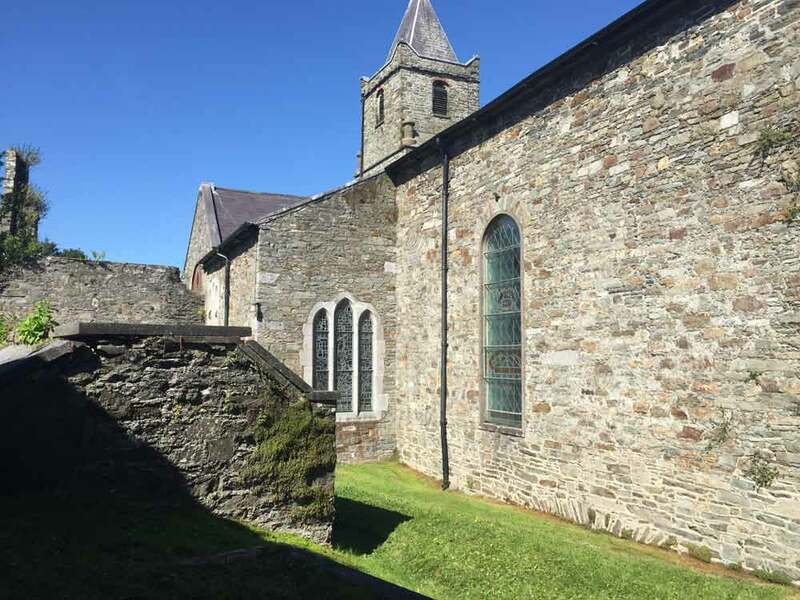 I had read about this church and had hoped to visit it and it surely it was meant to be for we parked with no thought other than securing a handy place to park and co-incidentally it was right outside St.Multose walls. 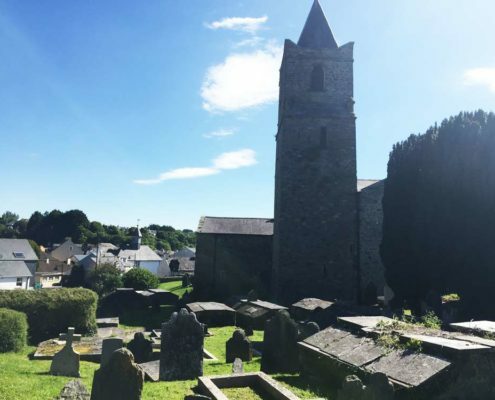 The church and graveyard is beautifully preserved. 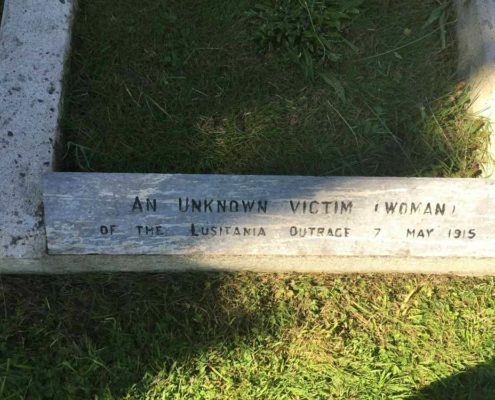 Many of the graves date from the 18th century and even earlier with a number of headstones bearing the names of victims of the Lusitania sinking in 1915. 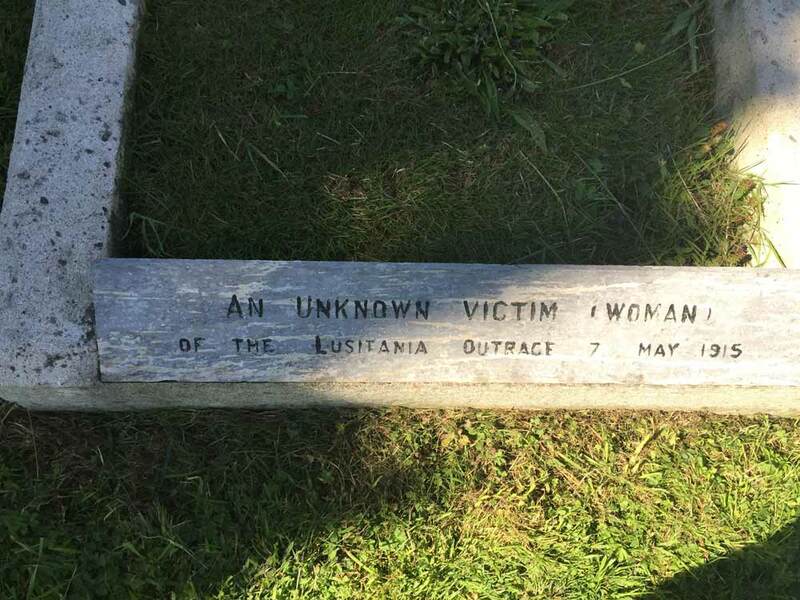 One particularly poignant engraving simply said ‘An Unknown Victim (Woman) of the Lusitania Outrage 7 May 1915’. 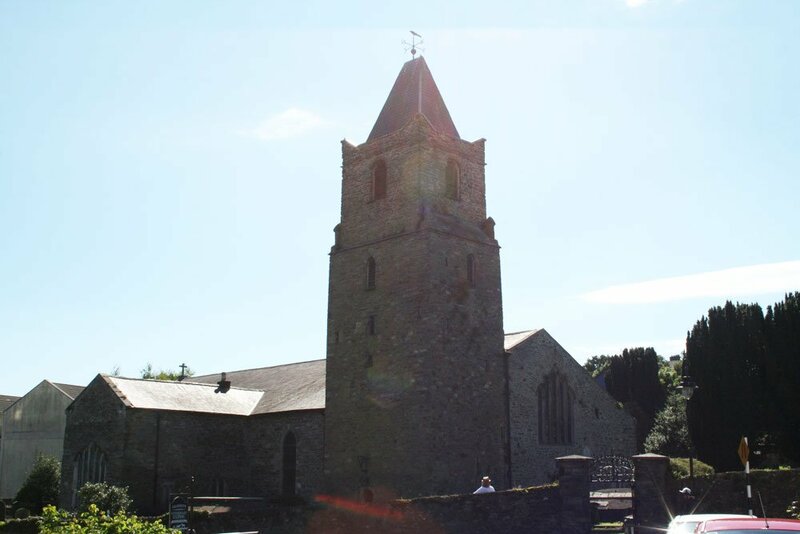 While we were there a local guide was giving a tour to a group so if you would like greater detail about this interesting place you could enquire locally as he did seem to be quite engaging from what I could see. 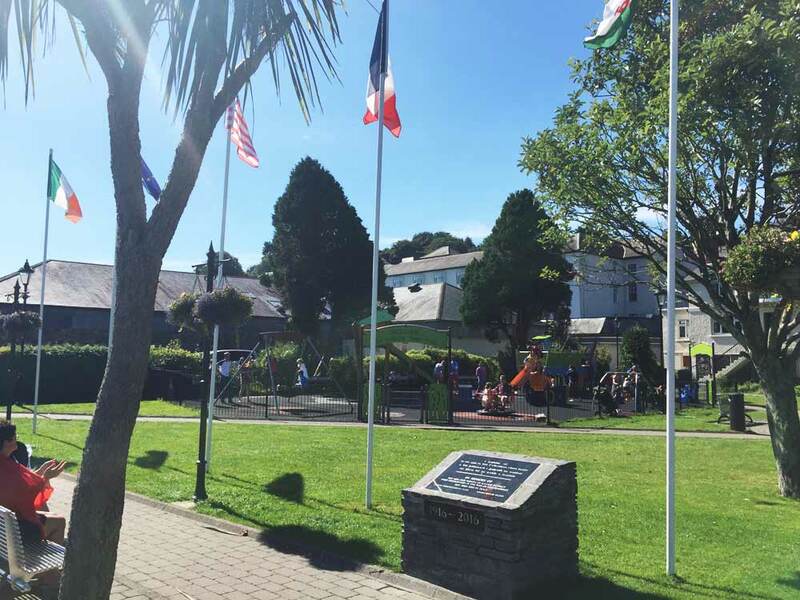 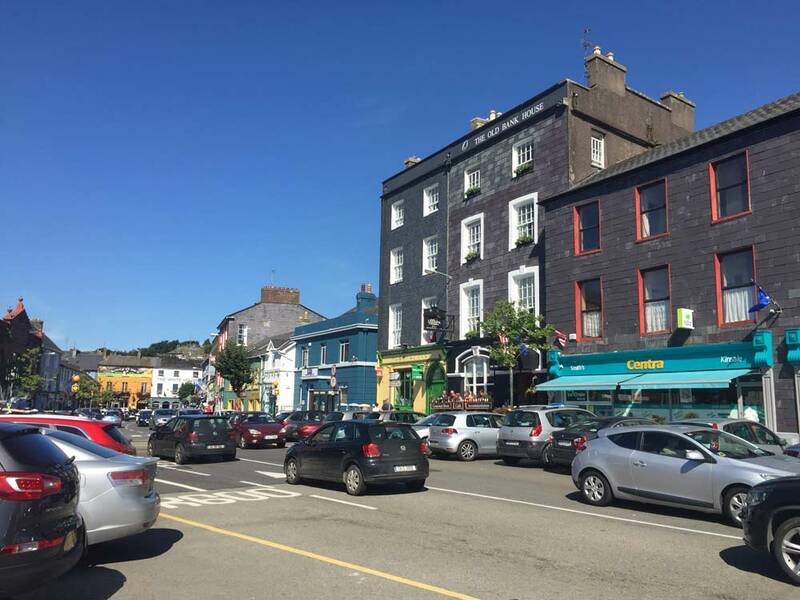 Kinsale town was a hive of activity on the sunny August day of my visit. 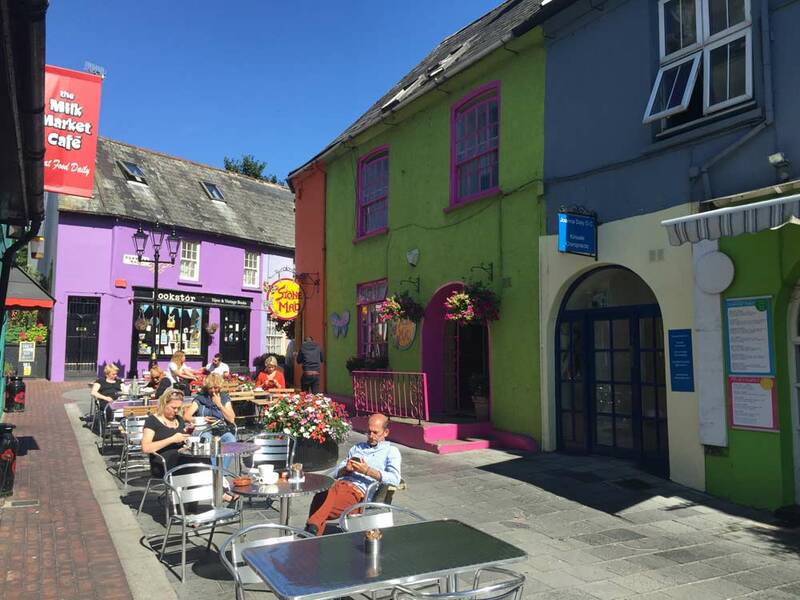 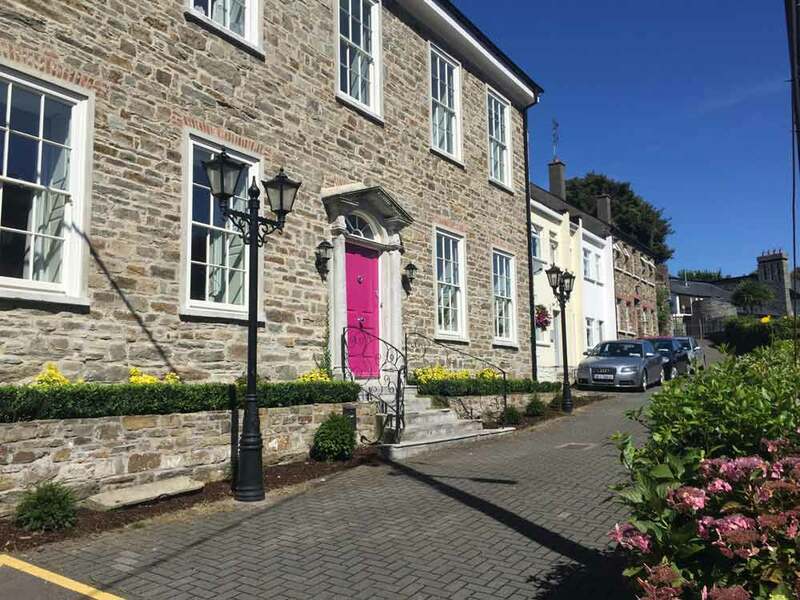 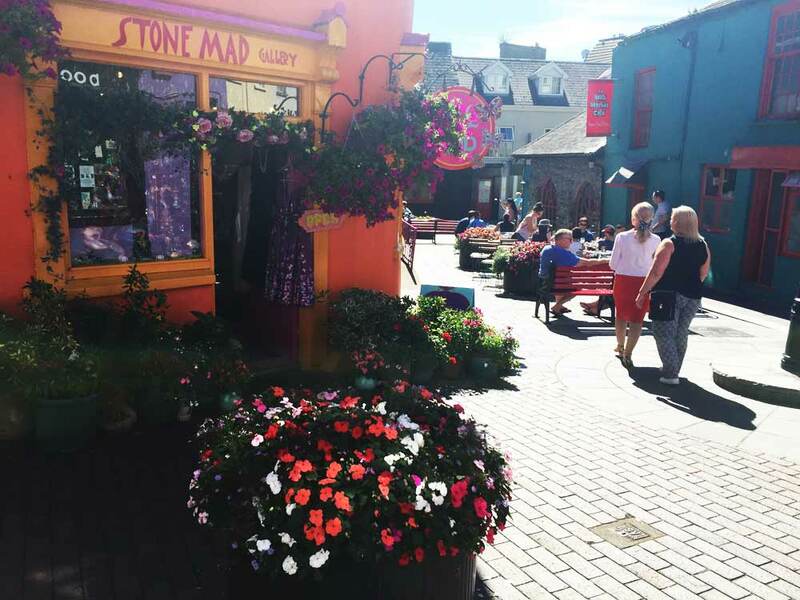 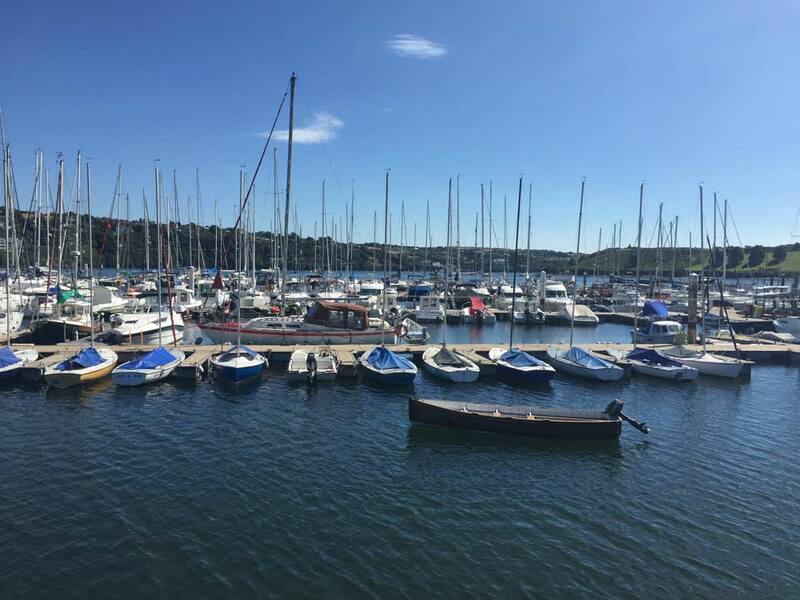 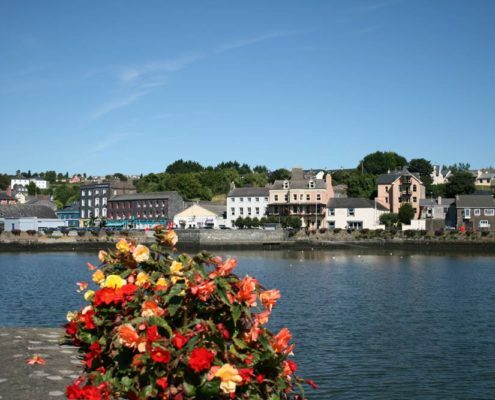 Sunshine will lift the dreariest of towns but the colourful shopfronts, art galleries and restaurants of Kinsale would appeal, whatever the weather. 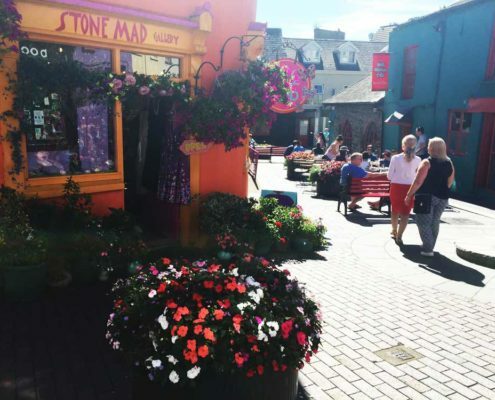 While the town caters for tourists it is also apparent that it is a busy commercial hub in it’s own right. 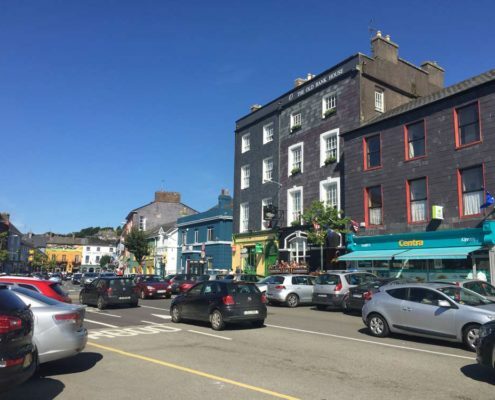 The traffic in the town centre was a mix of delivery vans, jeeps pulling boats and even a tractor pulling a cattle trailer! 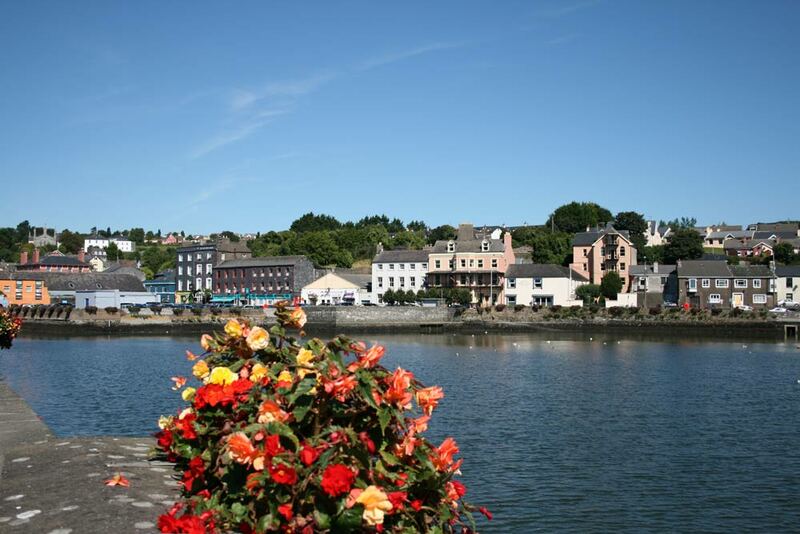 All roads lead to the banks of the river and down to the marina which is a very pleasant place to sit and watch the world go by. 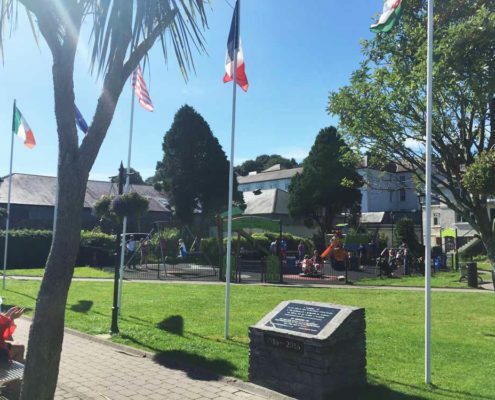 There is a popular children’s playground with plenty of welcome benches nearby for weary parents. 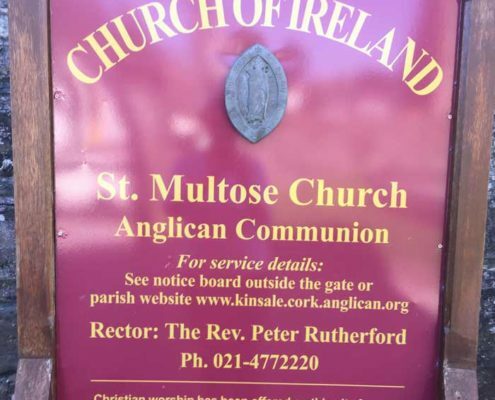 I’ve been grateful of such a facility many times over the years so I always still notice them but thankfully this time I was having a very grownup sort of day out. 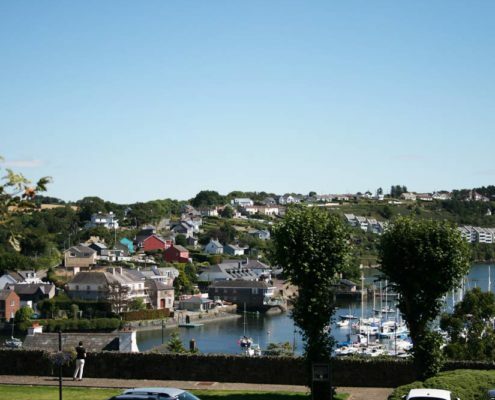 We walked back up to the town taking the elevated streets seeking out a good view of Kinsale town and harbour below and we were not disappointed. 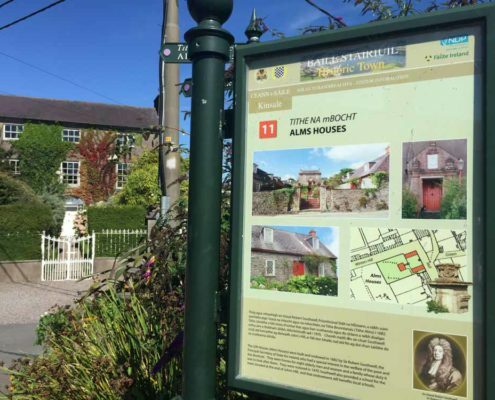 As well as the wonderful views over the rooftops we noted some lovely period buildings including an Alms House. 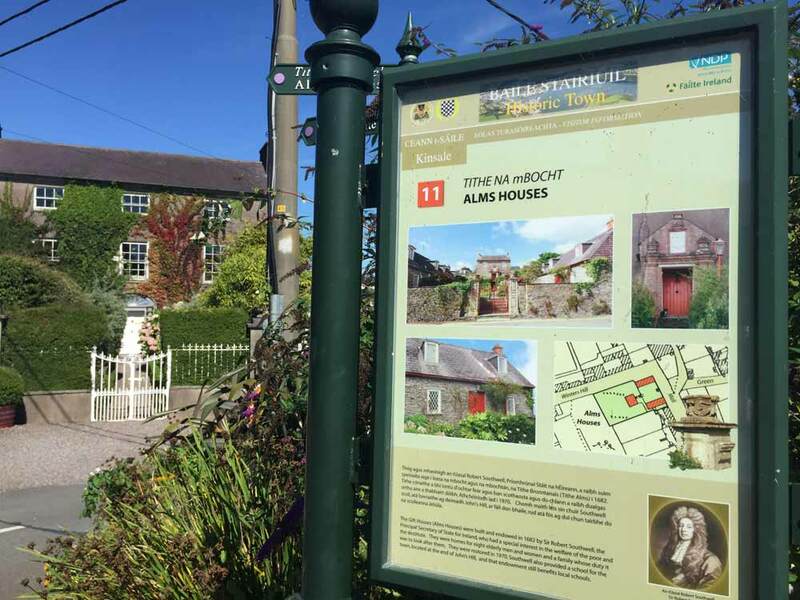 There are public information signs in this Historic Kinsale area. 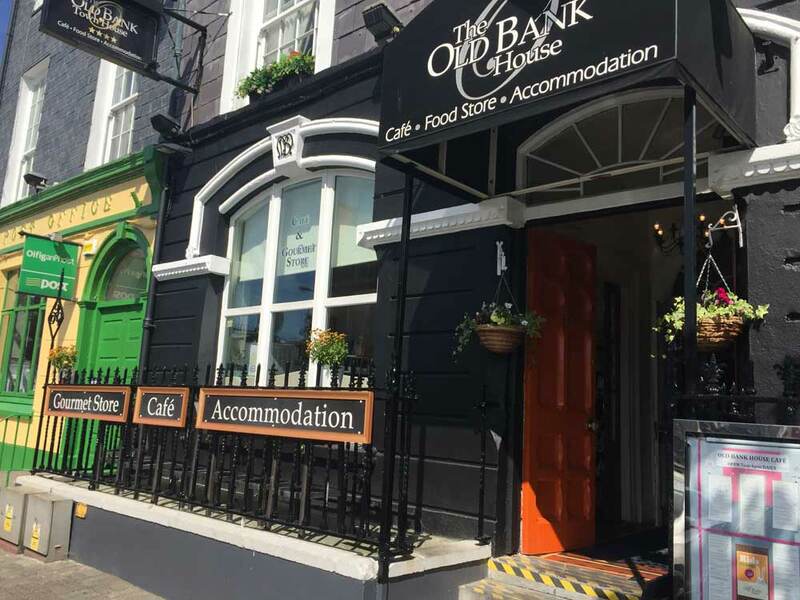 By this stage we were feeling peckish and settled on The Old Bank House Café on Pearse Street which is on the left hand side of the main street just on the approach to the river. 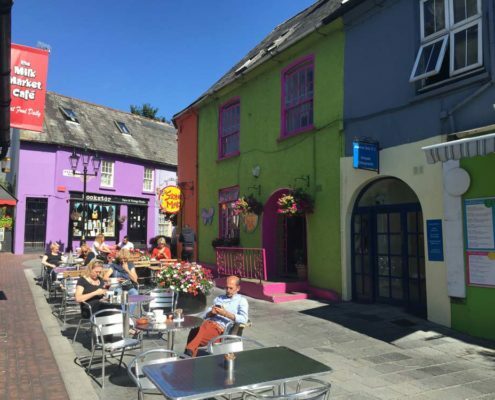 The café has some seating outside but (believe it or not) it was too sunny for comfort so we sat inside. 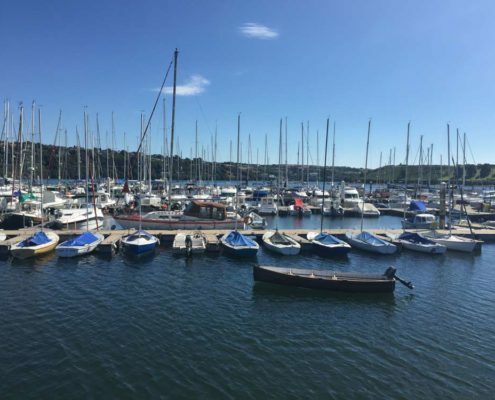 We had fish cakes, quiche and salad which was very fresh and delicious. 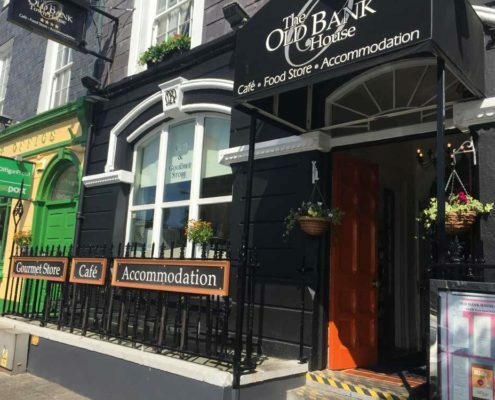 The staff were friendly and efficient so top marks to The Old Bank House. 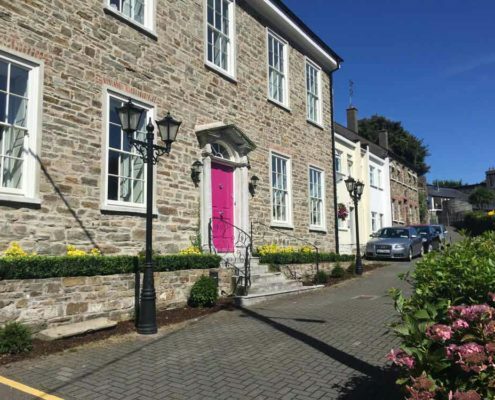 The interior is narrow and of course there are steps up to the front door so it is not ideal for disabled access. 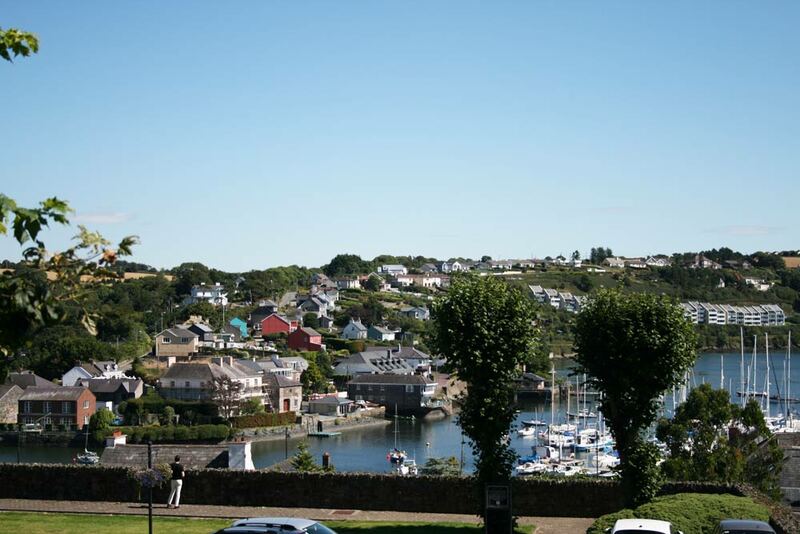 There is a lot to see in Kinsale and I expect to return soon to explore further but for now the road beckoned and we set off on our way to our next stop at Charles Fort.